I was a young kid when “How Will I know” hit the local pop radio station in Milwaukee; MTV was popular then. Whitney Houston came on the scene in the early 80’s. She was elegant, poised, respected. In every interview, she had an answer for every question put to her. She lived in the moment. What we as an audience weren’t aware of is just how-in-the-moment she lived. 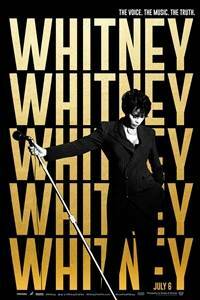 Kevin Macdonald’s brave documentary, “Whitney” which opens this weekend looks at Ms. Houston’s life and career. It begins, humbly in the Jersey suburbs outside NYC. Her father, John Houston, Jr a politician and her mother, Cissy a back-up singer for the likes of Aretha Franklin and Dionne Warwick, Whitney’s cousin. Macdonald makes a point early on to demonstrate how distanced they both were from all of their kids. Whitney had to fend for her siblings at a young age, demonstrating her perseverance and determination. They were never alone though, living with various family members. Recognizing her potential, Cissy took her under her wings, not only coaching her singing, but her posture and presence on the stage and what a dramatic presence it was, despite the stress on their relationship, something that Macdonald also works to bring to the forefront. As Whitney’s career grew, the family grew closer together. Macdonald paints a portrait of a family in distress, which brings them even closer together, if not for security then out of blood. Gary Garland, Whitney’s half-brother was interviewed, sharing stories of drug use and the ease with which it could be obtained, and alcohol. Macdonald uses home video footage from behind the stages to show Houston’s fun side, but also to demonstrate her demons, how on the edge she lived. Macdonald also documents a power struggle for control over Whitney’s affairs between a college friend and the family. College friend Robyn Crawford, who is frequently the subject of the family videos in this film was the one person Whitney would listen to when she wanted to go off the rails, but not before Whitney met Bobby Brown. In the second half of the documentary, Macdonald explores who Bobby Brown is and gets his side of the story of their relationship. What caught me by surprise was Brown’s reaction to the drugs aspect of Macdonald’s questioning. Macdonald ties this back to Brown’s declining career while Whtiney’s was just taking off. Literally. Whitney transitioned from the world of recording and touring artist to actor when she took the role of a singer whose life is threatened by a fan in 1992’s “The Bodyguard” co-starring Kevin Costner as the bodyguard who she eventually falls in love with. Macdonald makes it a point to show revealing last moments of the film because it demonstrates the Whitney Houston’s power over the entire spectrum of her audience. Along with her song “I Will Always Love You”, this move in her career was the penultimate expression of relationships in the 1990s and defined a whole new generation. The second half of the documentary focuses on Whitney, Bobby and Bobbi Kristina Brown, the stresses of being on the road put on their relationship and on Bobbi and Whitney’s attempts at stardom a second time. This second half looks down at Whitney. Perhaps this is to curry the audience’s emotions. It wasn’t disrespectful, but it left a gaping hole in Whitney’s legacy that is just as critical as her beginnings. In the end, Whitney Houston entertained and delighted millions. Kevin Macdonald’s “Whitney” answers some of the toughest questions, sheds light on the family struggles and details her struggles with addiction and why; it is exceptionally informative. For a documentary that runs two hours, it spends a little too much time in some areas that it does not focus on her comeback from 2006 – 2012 as much as it probably could have.